Mere weeks after Valve launched a blatant Discord clone, Discord is striking back. 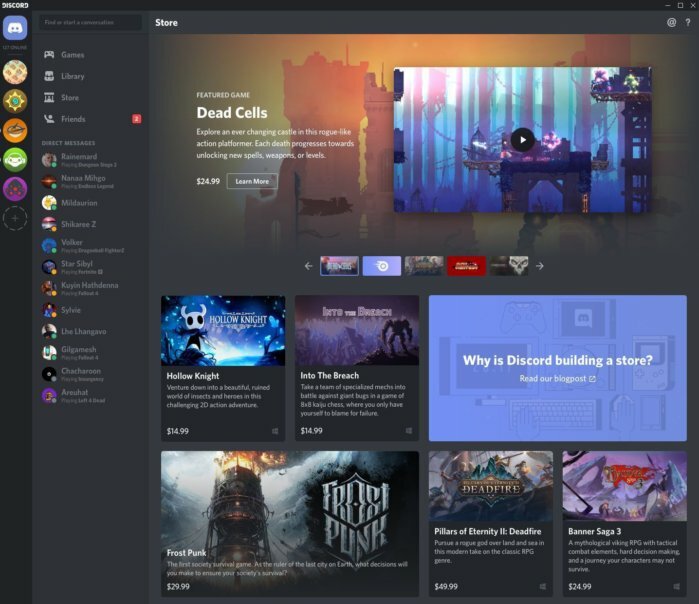 The company will begin selling PC games directly inside its supercharged communications software, Discord announced today, as well as offer access to select games as part of its $5 per month Nitro subscription. The Discord Store’s beta rollout starts small, however. Today, 50,000 Canadian users running Windows PCs will see it offered as a new tab on the Discord home screen. Discord likens its curated game store to “one of those cozy neighborhood book shops with recommendations about the hottest and newest games from us to you,” complete with testimonies from employees about why a particular game is worth your time. Adding a selection of “free” games to Discord’s $5 per month or $50 per year Nitro subscription makes the service much more enticing. The initial batch of 10 games pack some great, yet aging titles, including Saints Row: The Third, Darksiders: Warmastered Edition, Super Meat Boy, Metro: Last Light Redux, and System Shock Enhanced Edition. Discord plans to expand to more countries and currencies before the full launch of the Discord Store later this year, the company told Variety. Finally, Discord’s greatest strength lies in its cross-platform ubiquity, and another new feature takes advantage of it. Discord home screen is getting yet another new tab dubbed Universal Library. Universal Library scans your computer for any installed PC games, just like Nvidia and AMD’s software, then lets you launch those games right within Discord, no matter which platform they’re on. If it needs a launcher like Steam or Uplay, Discord will boot up that, too. With more than 150 million users, Discord is one of the few platforms that rivals Steam’s install base. Whether all those gamers want to actually buy games outside of Steam is a big question, though: Amazon, GOG, Humble, and Microsoft have tried to take on PC gaming’s 800-pound gorilla and all largely failed to shake up the status quo. If the Discord Store and Nitro subscription manage to generate even a little bit of traction, it could keep your personal data away from marketers. 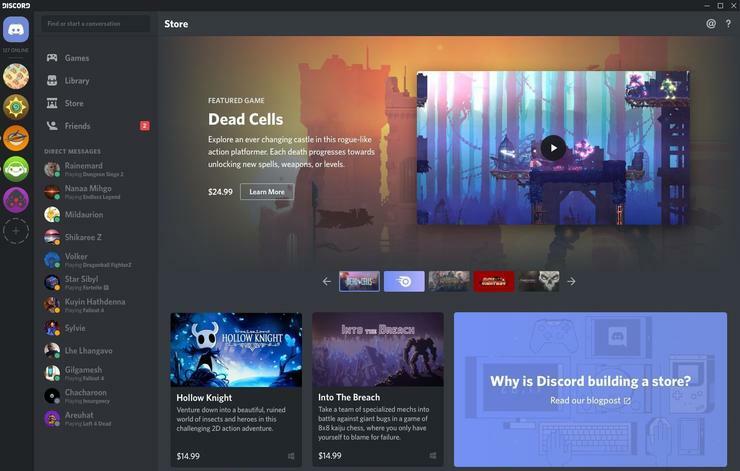 The Universal Library tab may be essentially a footnote in Discord’s announcement, but it’s likely to be make-or-break for Discord’s sales efforts. 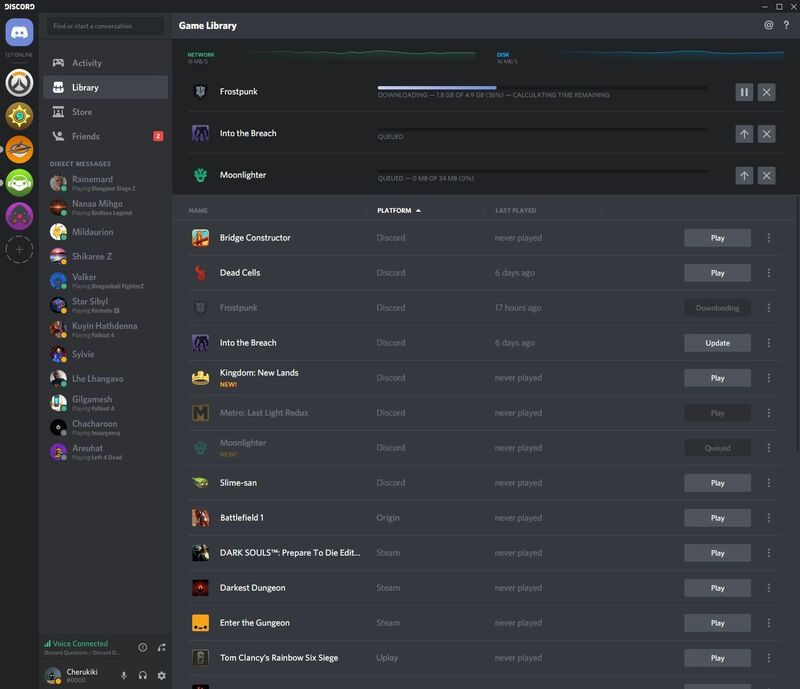 If the Universal Library can build on the back of Discord’s similarly ubiquitous chat, it could make individual platforms less of a concern for PC gamers, which in turn could make people less hesitant to buy games directly from Discord. That’s a big if though—and it’ll be interesting to see if Discord Store games will support cross-service multiplayer with Steam, Uplay, et cetera. Notice that the first round of available games are all single-player.